Unstable employment may be here to stay. “Only” 4.something% of the work force is now officially unemployed. But millions more are under-employed, working at temporary or part-time jobs. The economy has made a weak, but consistent recovery from the Great Recession. But globalization, advances in technology and rising healthcare costs have been gradually cutting away at the job market since at least 2000. Starting a side business may be the only way forward for millions of people. In many of my articles I promote the idea of adding some form of self-employment to your income mix. This is not only to produce additional income, but also to diversify your income sources. And it should go without saying that the majority of people will be well served by having some kind of hands-on occupation that they can carry into retirement. Let’s get into the mechanics of starting a side business. Few people will be able to afford to fully retire, and will need an income supplement. Early retirement. This can be either planned or involuntary, due to job eliminations or a bad economy. Income from a side business can be a way to earn a living, either in combination with a part-time job, or early retirement income. The job market has become inherently unstable. Even if you feel safe right now, circumstances could change quickly. Starting a side business now could provide a valuable bridge into your next occupation – which might be converting your side business into a full-time venture. Giving you a sense of having some control over your destiny. Many jobs feel like traps, offering heaps of boredom, and not much future potential. A side business can open up new horizons. There may be another reason as well. Starting a business on a full-time basis can be risky. But when you start a side business, that risk is minimized. That also means that the likelihood of the business succeeding will be higher. Launching a side business is an excellent way to start building the foundation for a full-time venture. The side business concept reduces both the risks and the fear associated with becoming self-employed. Who hasn’t fantasized about striking out on their own to start a business? What keeps you from doing it? A steady paycheck is one reason; a benefits package is another. You don’t have to give any of that up when you start a side business. In fact, being securely employed and dealing from a position of strength is probably the best launching pad from which to start any business. Keep your regular job and start your business as a side venture. To use a sports metaphor, think of your regular job as your defense where you fortify your household and don’t take chances. Your side business is your offense – the venture in which you take chances in favor of achieving long-term financial independence or even real wealth. Choose a business that you would like to do – a hobby, a business that really interests you, or something for which you have a natural talent. Many people work in careers they don’t particularly like because it pays the bills. Or even worse, they do it because it’s what they’ve always done. Having a side business should be about preferences – doing what you really like. Think of it as an opportunity to break out and to try something fresh and new. Part of the reason you’ll want to start now is that it often takes longer than we think for a new business to start generating a positive cash flow. But start now, while you have a cash flow from your regular job, and you’ll have the staying power necessary to make the venture a success. Wait until you lose your job to start, and the whole dynamic will shift from strength to desperation. You can come up with as many ideas as you have interests and skills, but the important thing is to get started now while time and circumstances are on your side. Also, don’t worry if you don’t have all the necessary skills. I started blogging and freelance blog writing as a side business, and I can tell you from experience that you will develop any skills that you need as you go forward. You should also know that no matter what venture you’re going into, you will never be fully prepared from the very beginning. The learning curve associated with any new venture is perfectly normal. Let’s take a view of some side business ideas from 30,000 feet. These are just suggestions – virtually any hobby, talent, skill or passion can be turned into a side business. It’s simply a matter of taking what you can do, and finding a way to monetize it. If you like to write, and you have specific passions or knowledge, blogging is a way to earn some money just by putting your opinions out on the Internet. This isn’t as formal a venture as you might think. There’s actually a blogging process that you can follow. You create your blog, begin to build traffic, and then add advertising. This can be done by adding Google AdSense to your blog, as well as establishing affiliate sales arrangements with related products and services. You start out making a little bit of money, but over time it grows. It can take a year or more before you’re making a few hundred dollars per month. But once you get going, it can grow like an annuity. It’s one of the most interesting ways to make extra money. 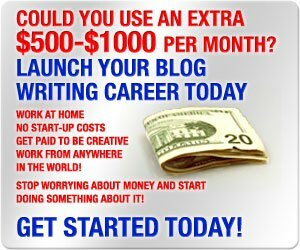 If you like to write, but you’re not interested in starting a blog, you can get into freelance blog writing. This started out as a side business for me, but is now my primary income source. It will also start slow. You start with one client, and then begin adding others. Once you have several, and you can increase your writing fees, the income can grow to be just about as much as your talent and determination can generate. You can also do it from the comfort of your home, and it won’t interfere with your primary job. Find a product or product line that you believe in, that you actually use and can endorse without reservation. Since most consumer goods are produced overseas, finding an inexpensive product source should be relatively easy. Once you identify a product or service, and have lined up a source, create an online store to sell it. You can also set up online stores through Amazon and eBay, as well as other specialized web platforms. If you want to create your own products to sell, you can do so through Etsy. Tens of thousands of people are doing this successfully, and you can too. It’s just a matter of putting your fears behind you, and taking the plunge. A lot of full-time jobs involve skills that could be turned into a side business. For example, an accountant can start a side business doing bookkeeping and tax work for private clients. An office worker can work as a virtual assistant, or even develop paid arrangements to do administrative work for small businesses. There’s almost no job that can’t be converted into a side business, if you use your imagination. It doesn’t have to be a job-related skill either. If you have a personal skill, like computer work, dealing with medical bills, or writing resumes or term papers, that can be turned into a side business as well. If you have any kind of hands-on skills along these lines, this can be a real opportunity. I know several people who quit full-time jobs (in IT fields no less) to start doing this work. One of the biggest benefits is that it’s the kind of work that only increases when the economy declines. Since people can’t afford to buy anything new, they’re forced to repair what’s broken. If you have repair skills, put an ad on Craigslist, contact homeowner’s associations, and spread the word by word of mouth. Once you get a few customers, you start getting referrals. I know one guy who became a handyman, and became so popular that he was able to limit his work to just three neighborhoods. You may be thinking, I can’t tutor, I’m not a teacher. Put that thinking out of your head. You can be a tutor in any subject where you have above average knowledge. It can be academic related subjects, such as math, science, reading, and writing. But it can also be other topics, such as tutoring people in English or a foreign language you’re familiar with, teaching repairs, coaching for job interviews, teaching basic computer applications, or teaching simple auto mechanics. Sure, in this day and time there’s YouTube as an information source but some people prefer one-on-one instruction. If you can provide that in just about any tangible subject, you can make money as a tutor. You can advertise on Craigslist, neighborhood newsletters, through local schools, or employment agencies. YouTube has become a go-to source for information for visual learners. Every day, millions of people go to the site to learn about ideas, skills, and processes that they know little about. This creates an opportunity for you to develop YouTube videos to sell into this niche. It’s largely an extension of tutoring and even blogging. But rather than teaching someone one-on-one, or writing an article, you instead create an instructional video. 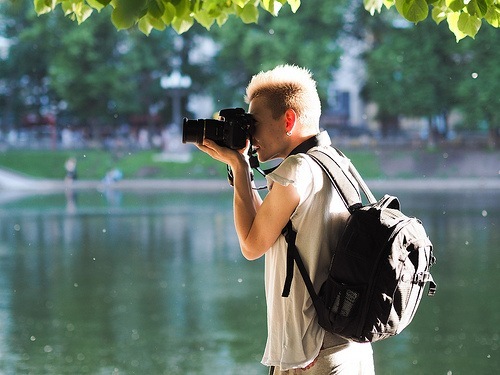 Or you can create videos centering on a hobby, a passion, or a business concept, like investing, marketing, selling, or the job hunting process. You can earn revenue from YouTube videos either by adding Google Adsense to your video in the same way that you do with a blog, or by using the videos to draw viewers to your website or online store. One of the advantages is that the videos become a passive source of income once they have been created. If you have IT skills, there’s a ready market for both these skills. People need help creating websites, or upgrading them beyond the basic level. And everybody who has an income generating website needs help with web marketing. That can include social media promotion, SEO techniques, or even setting up affiliate marketing. The field has become competitive in recent years, but there’s always room for a few more. This is especially true if your fee structure is reasonable. The above business ideas are just suggestions. Millions of people have side businesses today, in all kinds of fields. It could be pet sitting, housecleaning, house sitting, or selling at flea markets and community/state/county fairs and festivals. The point is, people are doing all kinds of things to make extra money. You can come up with as many ideas as you have interests and skills. Don’t let your job hold you back – it may not be there one day. The important thing is to get started now while time and circumstances are on your side. And with all of the uncertainty surrounding retirement, starting a side business could be one of the best retirement plans you can have. Have you ever considered starting a side business? If not, what’s holding you back? Now more than ever this is the time to be your own boss. No sleepless nights worrying about the next round of lay offs. Work from home doing what you love. Affiliate marketing is a wide open field. If you are technically savvy, SEO is a wide open field. With a few free downloads, you can analyze sites, and easily see where they are lacking in SEO. Having a website constructed is easily outsourced to freelancers. No need to pay thousands for a website. And take the time to learn HTML and CSS and you’ll be updating your own site in no time. Nearly every company uses affiliates now, yet few affiliates achieve success. You can easily market yourself on contractor for hire sites, where you bid on jobs, be it programming, or baby sitting. Some companies hire straight commission people for any field you are interested in. Salesconx is one that comes to mind. Scared of losing a regular paycheck? Every small business owner lives on straight commissions. Their employees get paid first. Beware of unsolicited interviews from job boards. These are invariably companies asking you to put up your own money to represent them exclusively. Insurance companies are notorious for signing up as many agents as they can, and letting them sink or swim. Curious? Just google Allstate or State Farm in your town. You might be amazed at how many agents are in a town, often as many as one per 10,000 citizens. Start from home. Keep overhead down. Realtors will NEVER tell you that the location you are looking at has never had a tenant last a year before going under. Know your locale, watch business closings. You’ll soon see a partern of bad locations. Form an LLC. Sole propietor is simple to set up, but you expose your personal assets should you fail. Even if you have no employees, you can still form an LLC. Most states will have web sites which tell you every step you need to take to form an LLC. It just takes some legwork. Or you can outsource through places like LegalZoom. Manage your cash flow. Cash flow will make or break you. During start up you will have expenses without revenue. It could be 3-6 months (or more) before you reach positive cash flow. Budget for it. There are many areas where you can minimize costs. VoIP, used computers or NIB on E Bay, buying equipment at auctions. The net is filled with free (and good) advice on marketing, sales, finance, you name it. Avoid buying anything that you can get for free instead. In time you may need to add professional services. Use direct mail. SEO takes time and money. Mail lists cost as little as .07 per lead. If you have the budget, use post cards. At least you know the recipient will see it before they throw it out. Can’t afford printing costs? Use plain envelopes and HAND WRITE the addresses, with no return address. At least your mailer will get opened. Offer a guarantee or free trial. Beware of the entrepreneur bug. Once you have a taste of success as your own boss, you’ll never take a regular job again. And make mistakes. If you aren’t making mistakes you are not trying hard enough. Talk to every business owner at every business you use. They love to tell you how they succeed. And if your first business fails, try try again. Good luck and I hope you’ll join me and so many others that have the freedom of being our own boss. Bill – I wish you left some contact info in your comment, because it has enough content to be a post all it’s own! Thanks for commenting, and from the points you made I can tell that you’ve done this before. I’ve used the postcard idea for mailers, and you’re absolutely correct, it’s the the most cost-effective way to market by mail. Thanks for tweeting this post. My previous job had a clause in our contract that any funds we made ‘moonlighting’ had to be put back into the company (non-profit). I found that to so ridiculous, because our pay was so low that most of us had to moonlight speaking, writing, or coaching to make it. Side jobs can provide such meaning. I loved coaching so much. Side jobs also help to make easier transitions when you are let go! My wife has a budding photography business that is our fall back plan in case of job loss or sale of the business. Ted – That was an unfortunate job situation you were in. My first job out of college was like that. They didn’t pay me a living wage an I had to keep side jobs. They confronted me on it, but I told them flat out that they weren’t paying me enough to live on one paycheck. Unless you’re doing something that negatively affects your employer I don’t know why this would be an issue, especially in a low pay situation. I had a lot of people rag me for my sheer refusal to be an employee. I mean.. Even getting the most rudimentary job has been one of the biggest challenges for me. Before the economic recession of 2008 hit, I managed to get a job by just pulling to a temp agency and voila! Employed. I must have handed out hundreds, if not, a good thousand or two resumes since then and nobody, not even the temps, would take me in. I figured instead of wasting my time to wait to be fed scooby snacks, I’m trying self employment alternatives. I got fantastic landscaping and computer repair skills under my belt if I never need to sell or barter that skill, and now I’m getting into blogging and social media. Between that and investing; I think I may very well thrive during these employee-unfriendly times. If you can cut all the crap in your life and go minimal then start a side hussle, chances are you can get out of the corporate rut quicker than you think. I blog full time now with a little web design on the side and am much happier for it. Forest – Yes, I think that’s a big key. Before you can even begin to think about turning a side business into a full time venture you first have to clear the decks of unnecessary expenses. It’s easy to accumulate them when you’re on a regular salary, but a business is different. Along the same line, removing the clutter will probably help you to think more clearly, and that’s just as important. Ditto Bill…and everyone one else who commented. All great advice. Oh sorry…Hi Kevin! Both my husband and I had side hustles when we worked full time. I did medical transcription from home. Loved it. I did that extra job for 15 years! I never formed my own company, but I probably could have. I received a 1099 from my employer and paid all taxes on that income. My nephew started a web design business while employed full time. He got laid off and slid right into his side work. Two years in and he’s’ making more than when he was let go. My husband the same…starting machining on the side, worked from his garage, and built his own successful business (I helped!! 🙂 All of these are examples of what can be done. Without repeating what everyone else just said, you do have to follow the rules though about cash flow, no debt, etc. It can be done, and which ever commenter said you’ll never go back is absolutely correct. We’d rather eat cereal everyday and live in a tent than go back to work for someone else. Hi Bev – That’s funny about eating cereal everyday, but it’s also spot on! I’ve gotten so used to being self-employed that the thought of ever going back to a W2 existence turns my stomach. One of the things I really like about it is the ability to shift gears when necessary. You can change direction and move your business in a different direction, or even go into something completely different. This is a gross exaggeration perhaps, but I think everybody needs a side business. Even if you never expand it to full-time, just having it is liberating in so many ways.